Similar to when you look for wood flooring it is rather easy to get discount laminate flooring. With many dealer sitting on rests and small quantities of laminate flooring, it is rather easy to get a significant discount on these overstock floor. Before you look for any discount laminate flooring you should make sure you know the exact quantity you need. With laminate flooring you might not need a lot of extra material as usually over cut is rather low. So calculate up to 10% more and you should be find. Except you are looking for some kind of strange pattern you might need more of your discount laminate flooring. 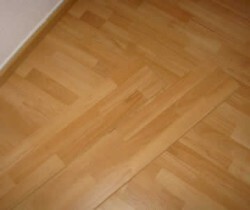 Before you buy any laminate flooring at discount rates, check same basics while you are at the shop. Most often dealer might not allow you to return these discount laminate flooring as it has been reduced in pricing. So check beforehand and you should avoid any hassle. Make sure you get any discount laminate flooring always from the same manufacturer. 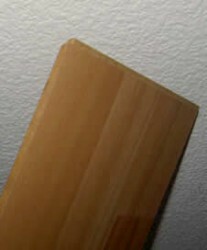 Even if both call it "oak laminate flooring" - the color and edge profile might be totally different. If possible also check that you buy the same lot. Most parquet manufacturers label their flooring with lot or production numbers. If you get your discount laminate flooring from the same lot you can avoid a lot of problems. If you get any kind of overstock or rest packages of discount laminate flooring, you should really have a good look at each pack. Sometimes it lies around many weeks in the shop and might get hit. So check if any edge of the laminate flooring has been damaged. In case you see a damaged panel, do think about whether you could still use it and perhaps ask for an additional discount. Laminate flooring if you get it from the same manufacturer should really not vary from lot to lot. However sometime manufacturers slightly change their edge profile. Therefore open boxes of the two different lots and test the fit of the joint, using one panel of each laminate flooring. Also check, particularly if you get discount laminate flooring from different lots, if the color of the floor is the same. Sometimes it can be different or bleached, depending on where it has been stored. Also touch the surface of the laminate and make sure it has the same finish.